Washington’s 105-day legislative session started on Monday with both houses landing in solid Democrat control after this year’s election. 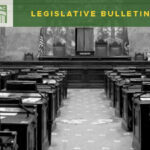 The size of the majorities, combined with a new majority leader in the senate and the announcement that Speaker Chopp will step down after this year, along with Governor Inslee’s presidential campaign exploration, should add up to a year potentially unlike any we’ve seen in recent history. One of the 27 new legislators worth noting is Representative Keith Goehner, a former Chelan County Commissioner. WSAC is thrilled to have another one of our own added to the legislative ranks. 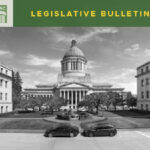 This being the first year the legislature has not felt the noose of the McCleary K-12 education ruling around their necks, and a budget year to boot, there will be no shortage of policy and budget ideas coming forward. 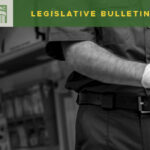 We already know we can look forward to legislation relating to healthcare policy ranging from opioids to a public health insurance option; mental health; housing and homelessness, as well as other land use issues; climate change; orca and salmon recovery; increased civil liability, including an expansion of the wrongful death statutes; labor and employment issues; and elections. Despite record revenues of late, Governor Inslee’s budget still comes in at 20% higher than the current budget and will need additional revenue to fund it, thus setting up a potential fight over capital gains and other taxes to pay for all of it. 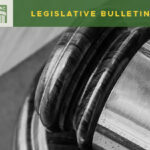 WSAC will be focusing on four primary issue areas this year: increased funding for trial court public defense, fish passage barrier removal, foundational public health services, and opposing new unfunded mandates. Unlike days of yore, the legislature is not easing into this session. WSAC staff will be plenty busy this week testifying on a number of bills and budget proposals, as well as participating in multiple work sessions. Our priority bill for funding trial court public defense is already scheduled for hearing in the House Civil Rights and Judiciary Committee on January 16.